Tessa Lightbourne became a radio personality four years ago when she began hosting on Hot 91.7. After almost a year, she relocated to Star 106, Hot 91’s parent station, where she hosted Tessa’s Rendezvous. Currently, Tessa hosts The Fix with Sawyer Boy every weekday from 9:30 a.m. to 12:30 p.m. According to Tessa, the best aspect of radio is listening to music, although nowadays, she does most of her listening when she’s working. Her favorite artist is Sade, but Beres Hammond is a close second. Besides co-hosting The Fix, Tessa Lightbourne also owns an online bakery, Bourne Sweet. Greg Lampkin entered the broadcasting world in the early seventies. During this time, he was involved in television and radio, as a production assistant. After a break from broadcasting, Greg returned as a television program director at a local company. In 2008, he formed Star 106 with Buena Wright, Tony Williams, and Brad Hanna. Greg is currently the co-host of Good Mornin’, Dis Mornin’ with Tony Williams from 6:30 a.m. to 9:30 a.m. He enjoys expressing his creativity and making people smile via radio. Greg is non-discriminative when it comes to music artists and genres. However, if you’re looking to get him dancing at a party, James Brown would be your best bet. Tony Williams began his career in broadcasting in the late seventies. He started out in production and later added “on-air personality” to his resume. When he moved to a different company in the nineties, he also became a programming director. In 2008, he formed Star 106 with Buena Wright, Greg Lampkin, and Brad Hanna. Tony currently co-hosts Good Mornin’, Dis Mornin’ with Greg Lampkin from 6:30 a.m. to 9:30 a.m. He is also Star’s programming and production director, but his true passion is production. Two of Tony’s favorite artists are Patti LaBelle and Babyface because he loves old school music. 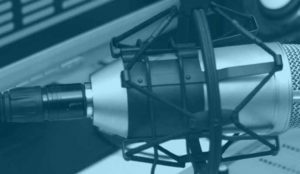 Roscoe Dames, has brought over 30 years of experience as an accomplished multi-media professional to the "All Star Team" ranging from broadcasting to producing and hosting major concerts and festivals. His diverse experience and professional know-how is now fusing a unique global marketing and entertainment brand that is synonymous with success. 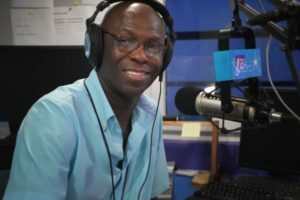 He has produced major jazz festivals in The Bahamas; coordinated video productions; produced and programmed his own nationwide no.1 rated radio program; hosted a weekly televised cooking extravaganza for the country's lartest hotel, resort and casino; in addition to hosting cruise line shows, arts and beauty pageants. Along the way, Dames has worked with a number of notable music figures including: Arturo Sandoval, Oleta Adams, Herbie Hancock, Sheila Raye Charles, John Beasley, Stanley Clarke, Chick Corea, Earl Klugh, Rick Braun, Peter White, David Sanborn, Davey Yarborough, Duke Ellington School of the Arts and Chuck Mangione to name a few. 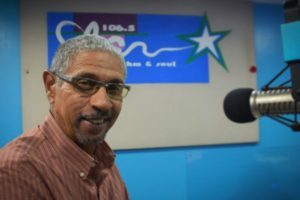 Roscoe hosts, "Roscoe's Kitchen," "Whispers in the Dark" and "Jazz-The Radio Show" here on Star 106.5FM. Check our "Shows On Air" listing for days and times for Roscoe's shows.